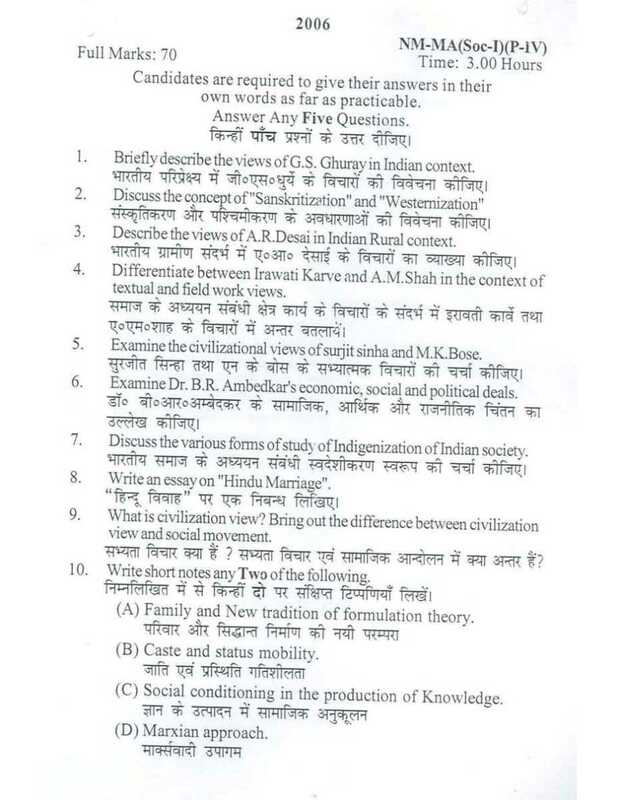 Will you please share the previous year questions paper of Nalanda Open University of MA in Sociology-Part I-Perspectives of Indian Society (Paper IV) Exam?? Nalanda Open University - MA in Sociology-Part I-Perspectives of Indian Society (Paper IV) Papers consists of detailed idea about the development of Indology of Indian Sociology etc. -Out of which only five questions are to be answered. -The total marks carried by each question are 16. -The total marks and time allotted for the MA in Sociology-Part I-Perspectives of Indian Society (Paper IV) Papers are 80 and three hours respectively. All times are GMT +6.5. The time now is 04:46 AM.